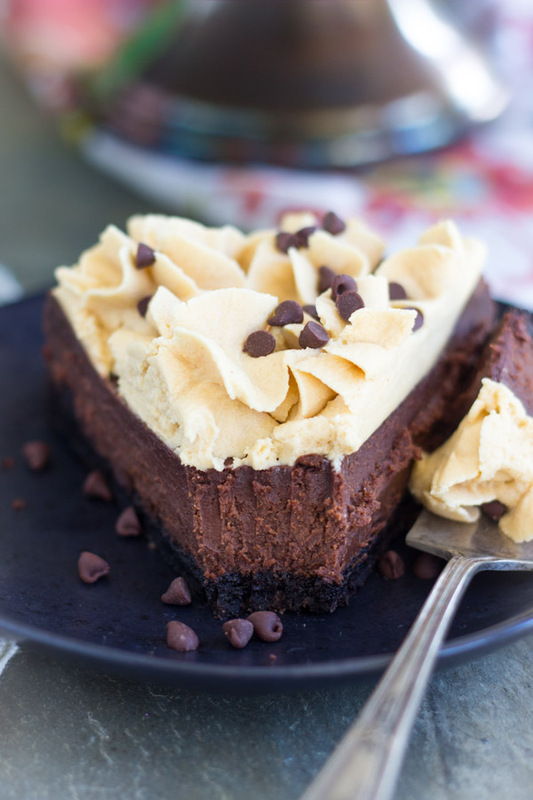 With an Oreo cookie crust, a super rich, silky, chocolate truffle-like filling, and topped with peanut butter buttercream, this Ultimate Chocolate Peanut Butter Torte is epically decadent. 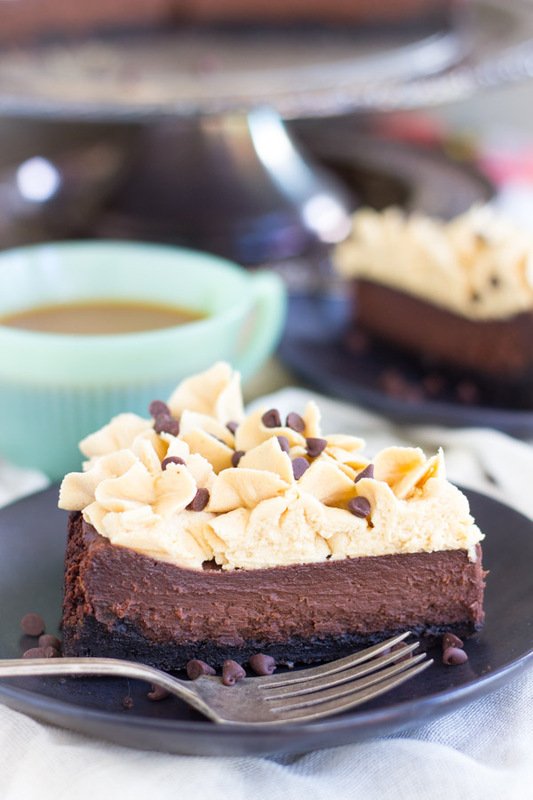 You’ll be so surprised how effortless this Ultimate Chocolate Peanut Butter Torte is to whip up! 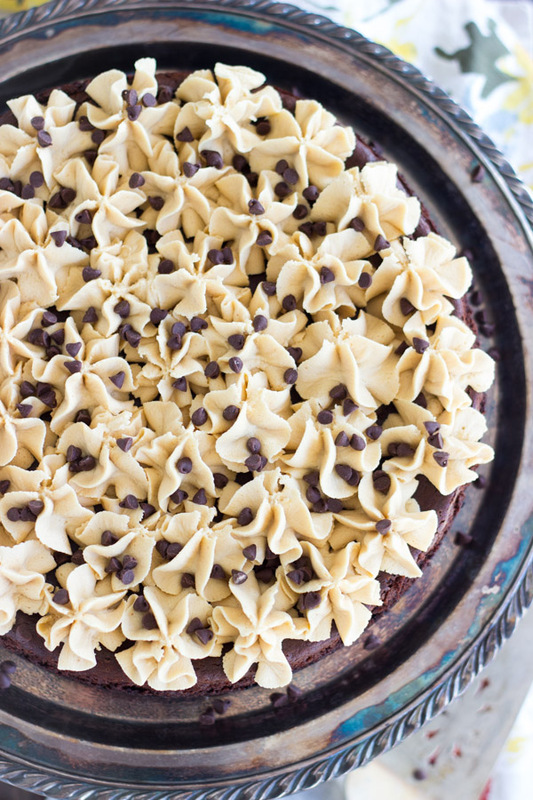 I call this the ‘Ultimate’ Chocolate Peanut Butter Torte because you really cannot get more over-the-top than this dessert. It is the absolute ultimate. There is nothing that surpasses this in terms of richness and sweetness. Hopefully you’re into that sort of thing?? I know I am. 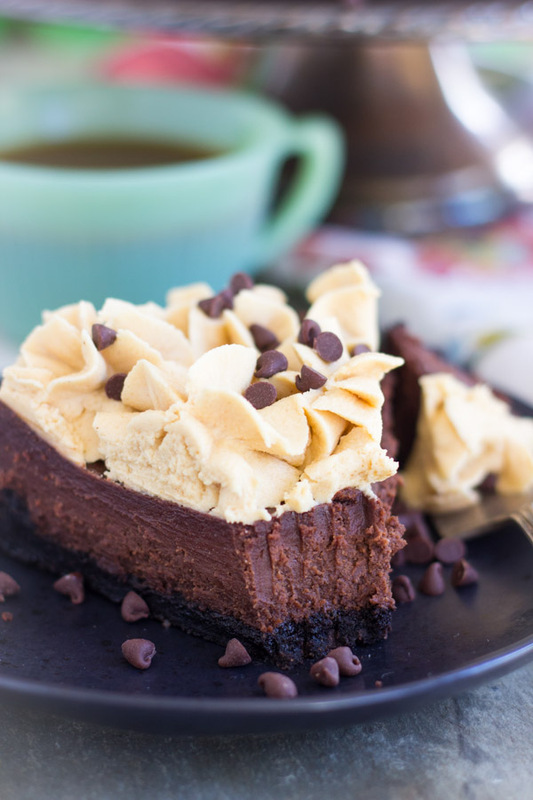 This Chocolate Peanut Butter Torte is so rich – you will only need a sliver to satisfy a sweet-tooth. That’s all it takes. You can easily serve 12 people with it, and you could probably even push it to 16 because you only need little slices. It’s incredibly rich and chocolatey. 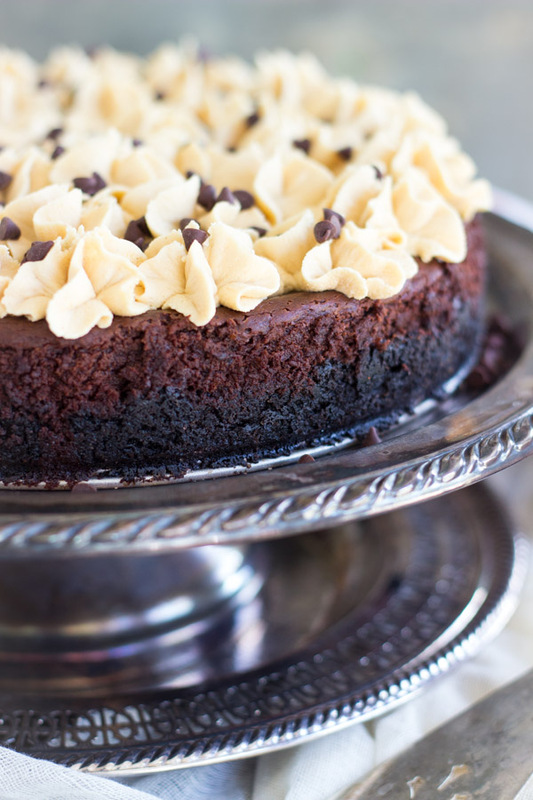 The torte is almost like truffles. Very ganache-like in texture and richness, but maybe a little thicker and denser. But it’s creamy and luscious like a truffle. The Peanut Butter Frosting on top is very sweet, and very peanut-buttery. It still manages to stay light and fluffy though. I topped these Elvis Brownies with this peanut butter frosting, I garnished this Nutter Butter Peanut Butter Pie with it, as well as this White Chocolate Peanut Butter Blondie Cheesecake. 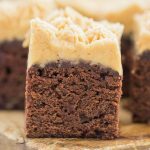 I piped it onto these Peanut Butter & Jelly Cupcakes, these Peanut Butter Cup Brownie Cups, and this Ultimate Chocolate Peanut Butter Torte. 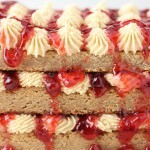 I slathered it between layers of this Peanut Butter Cup Brownie Torte and this Peanut Butter & Jelly Torte. Peanut Butter Frosting makes a lot of appearances around here! 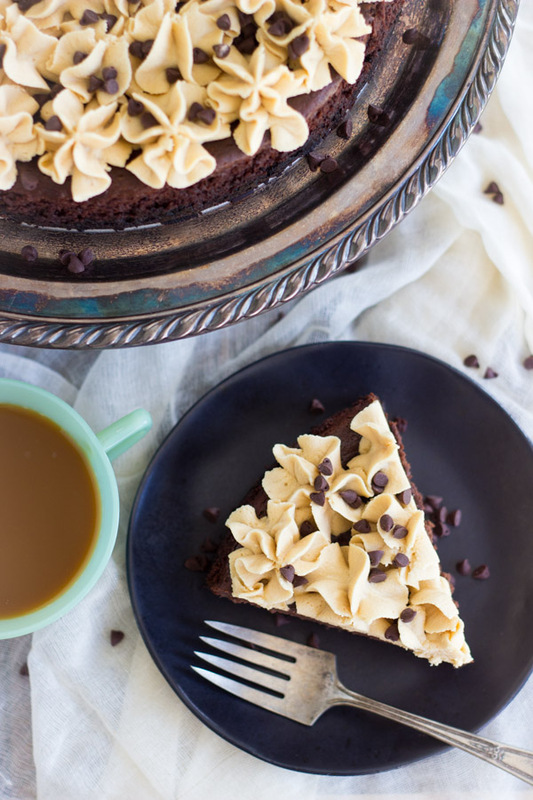 For this torte, the peanut butter buttercream is the perfect layer of sweetness to complement the chocolatey layer of richness. 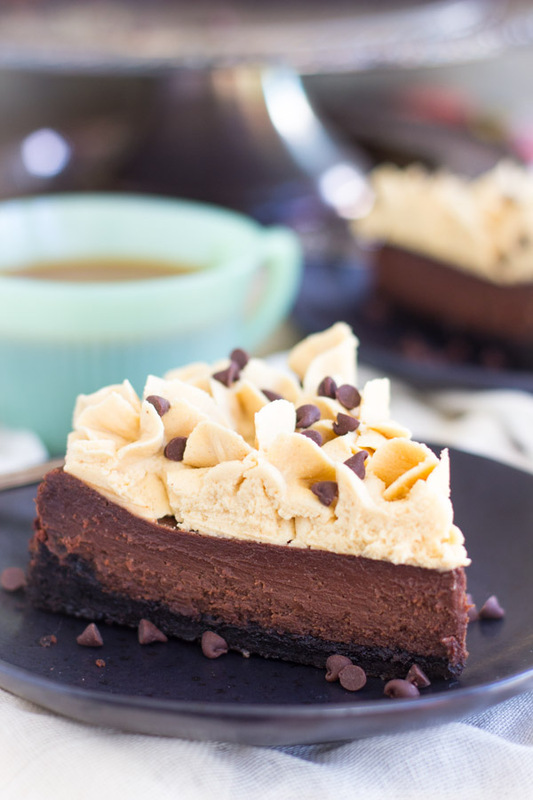 Altogether, this Ultimate Chocolate Peanut Butter Torte is probably the sweetest and richest dessert I’ve ever had, and I’ve had many a decadent dessert! So that’s saying a lot. It’s great for holidays or for dinner parties when you want to fancy things up a bit. It’s pretty and elegant, so it is very suitable for holidays and dressier get-togethers. It’s important to note that this torte isn’t hard to make though. It’s actually super simple to whip this up. 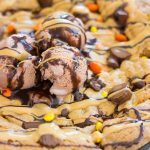 And you know it’ll be a crowd-pleaser because who doesn’t love chocolate and peanut butter together? The flavor combo is winning, for sure. 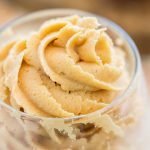 Peanut Butter Frosting – The Richest and Fluffiest! OH Sarah – Not only is that one beautiful pie, just looking at it makes my mouth water!!! Thanks for sharing on the What’s for Dinner Link up! Yum! 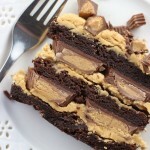 If I had the ingredients I think I would make one of these right now! Pinning for when I do have the ingredients. Oh my gosh this sounds fantastic! Wow…this looks awesome! Thanks so much for sharing with us at Share The Wealth Sunday! Wow! Chocolate and peanut butter buttercream! This looks so divine! That pb and chocolate combo is so perfect! This looks amazingly delicious! Thanks for sharing your wonderful recipes with us at Snickerdoodle. Pinning. Oh this does look rich and delicious and gorgeous!! Thanks for sharing with us at Throwback Thursday and have a wonderful Thanksgiving! This was absolutely decadent! I used thin chocolate chocolate chip cookie instead of the oreos. Everyone LOVED it! My husband said it tasted like something from a fancy restaurant! Oh wow, that’s an AWESOME idea for the crust! I love that! Thanks for the feedback – I’m so glad you guys liked it. 🙂 I do think it feels like a fancy restaurant dessert because it’s so decadent and rich, but it couldn’t be easier, right?! Thanks, Linda! Have a great weekend! Is it possible to freeze this cake and then do the buttercream after thawing? Yes! Definitely. I froze this, well-sealed, and it was fine when it thawed out!